"I believe it does help to have a education to be able to connect Asu with Ardipithecus ramidus, or connect the earth's magnetosphere with the vortex of the earth, or that Cevorkum is mathematically sound when calculated using current astronomical knowledge, etc. That knowledge one cannot get from just reading or memorizing Oahspe. That type of knowledge and education helps to authenticate what is written in Oahspe." - studyofoahspe.com author. "Some to heal the sick, some to work signs and miracles, some to lecture, some to write, and so on, every one according to the work of his adaptation ...Oahspe Book of Judgment 37:10. - Page 219 TIME OF THE QUICKENING. "We all serve the Creator in our own way with the talents and the gifts given to us. Is it wise to judge anyone as to their grade or rate of development? We are all works in progress. Shall we judge the high school student because he is not in college? Also, Oahspe is very specific about living and developing communal living. How many have obtained or practice that lifestyle today? Faithist or not? " - Michael Wallace February 14, 2017. John Ballou Newbrough, the Kosmon Tae of the first 33 year cycle, the chosen one, the instrument through which the Kosmic (Cosmic) book Oahspe was typed in 1881. "In course of time, about ten or fifteen years, I began to believe in spiritualism. But I WAS NOT SATISFIED WITH THE COMMUNICATIONS; I WAS CRAVING FOR THE LIGHT OF HEAVEN. I DID NOT DESIRE COMMUNICATIONS FROM FRIENDS OR RELATIVES, OR INFORMATION ABOUT EARTHLY THINGS. I WISHED TO LEARN SOMETHING ABOUT THE SPIRIT-WORLD; WHAT THE ANGELS DID, HOW THEY TRAVELLED, AND THE GENERAL PLAN OF THE UNIVERSE." - from John Ballou Newbrough. Delight yourself in the LORD; And He will give you the desires of your heart. - Psalm 37:4 of the Bible. The Kingdom of Heaven is at Hand! - Matthew 10:7. "That's 2000 years ago that Heaven was at hand, nobody could explain the Kingdom of God, what goes on in the Kingdom of God? It's not in your Bible! But here comes another book in our time named Oahspe under the seal of Yehowih, under the name of the Creator." - Selah Shalom, April 26, 2015. I dedicate this website to the Great Father and messengers and to all the faithists and Truth seekers out there. Thanks to all the scientists and researchers out there now, and who came before me, without their work this website would not be possible. Page 37 of The Universal Cycle Theory (2011) by Stephen J. Puentz and Glenn Borchardt, PH.D. ..."sadly a new scientific truth does not triumph by convincing its opponents and making them see the light, but rather because its opponents eventually die, and a new generation grows up that is familiar with it." All praise and glory to the Most High! "Thanks a lot, thank you very much indeed for the monumental work you have done to provide people on Earth with the keys of Oahspe. It is, no doubt, one of the most important web sites in Internet right now, offering the possibility to people to understand what that incredible Bible-document says. Thanks, thanks a lot." - Antonia S., January 14, 2015. "Seems to be the best site I have come across on the internet." - Majestik Divine, February 4, 2018. 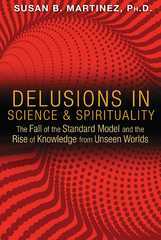 Delusions in Science and Spirituality: The Fall of the Standard Model and the Rise of Knowledge from Unseen Worlds Paperback – April 2, 2015. On this website I document facts and information about Oahspe, The Light, and darkness. I document my experiences with The Light, and other people's experiences with The Light (how others and myself have been used as an instrument by The Light). 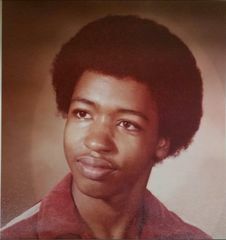 Above photograph of studyofoahspe.com author Michael James in younger years as a adolescent (age 15) when "I set my heart on learning spiritual things". 16. Behold on the virtue, wisdom of thy neighbor, his faults thou, shalt, not discover. an act or instance of summarizing and restating the main points of something. 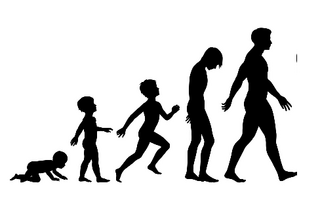 the repetition of an evolutionary or other process during development or growth. Do not Judge Oahspe by out-dated 19th century Spiritualism, judge Oahspe by present day and future science. that which is at variance with Thy established laws. "To those new to OAHSPE the following will, no doubt, seem like gibberish but after you have studied OAHSPE a little, the foregoing...will become quite significant." This website contains scientific, historical, spiritual, and prophetic information about Oahspe as well as some autobiography information about the author that relates to Oahspe. 5. For which reasons thou shalt explain that only facts well known, or comparatively proven, are light. An opinion is not light. 7. That facts, numbers, figures or axioms can demonstrate light; and that without these, then the supposed light is only darkness. 8. Pursue this philosophy and thou shalt easily discover who amongst you hath the highest light; and also what kind of judgment shall govern the chief's rulings. they require knowledge and capacity to unfold others. 4. And My record shall be the standard for mortals and angels for thousands of years to come. remembered not by angels nor men. 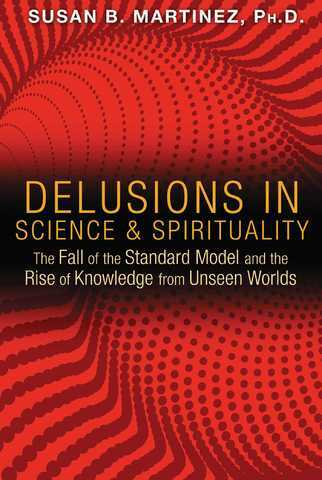 Prof. Herman Paysse said, "This is the book that was prophesied of old would come. It is worthy the investigation of profound scholars." growth and knowledge (will increase) to catch up. for it to be planted, the proper soil is the United States of America. "But you, Daniel, keep these words secret, and seal the book until the end times. Many will travel everywhere, and knowledge will increase." the increase I gave. Man of himself created none of it. (knowledge of Cosmos, nebula, solar system, galaxy, travel of solar system etc..)? discovery provided the irresistible incentive to come. From Europe came the British, Spanish and French. Chileans and Peruvians arrived from South America. 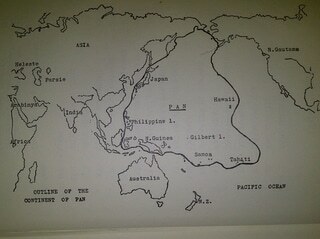 all, Asia, also joined the gold rush. unfold him in the glory for which I designed him. and practice of My hand upon all peoples. 7th era of the seven seals and the seven thunders. heaven saying, "Seal up what the seven thunders have said, and do not write it down." Some things were not written down in the Bible, waiting to be revealed in the current Kosmon cycle. A flower does not unfold or bloom before it's time, and the Creator's big plan is not revealed before it's time. Above: the magnetosphere's outer rim is about 42,000 miles broad [----] from the center of the earth to the outer boundary of the nose or head. Above: the magnetosphere's tail stretches [----] much longer than the width of the head. 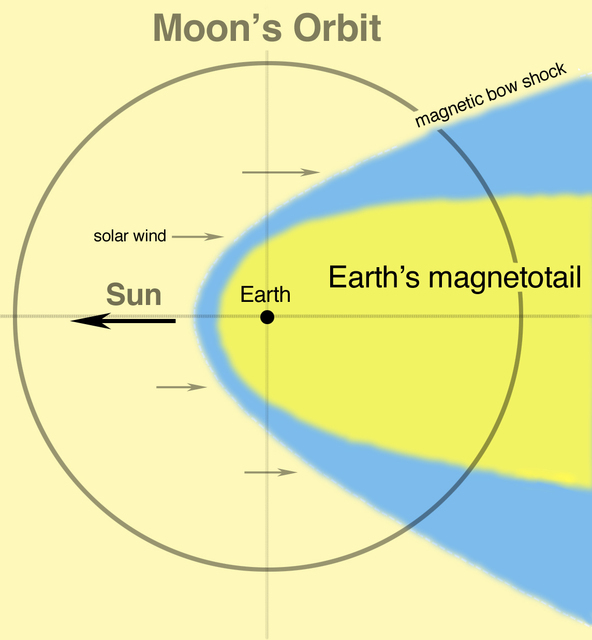 Above: Image from NASA showing the tail of magnetosphere extends beyond the orbit (---) of the moon. The tail (not the nose or head) extends beyond the orbit of the moon. How is it that Oahspe's description of the vortex of the earth matches that of the magnetosphere of the earth, and Oahspe knew that it was comet shaped and stretched beyond the moon?? real phenomena, that has been detected and measured. from the Earth's center to the "nose" of the magnetosphere is about 10.5 RE. "nose" of the magnetosphere = 41,580 miles broad from center of the earth to the nose. 41,580 miles / 42,000 = 0.99 or 99% same. Oahspe's number is extremely accurate. of the earth's vortex (like a comet's tail). “Earth’s magnetotail extends well beyond the orbit of the moon"
always pointed away from the sun." Earth's magnetosphere (vortex) extending beyond the moon. the Earth's center to the "nose" of the magnetosphere?? not disovered until 1958 using space satellites? of the earth's magnetosphere in 1881. Above left: Nasa Image of Earth magnetosphere, right: Oahspe drawing of planetary vortex (very similar cone-shape with nose and tail). Above on left is Nasa image of Earth's magnetosphere, on right is planetary vortex (Plate 47 - Tow'sang of Oahspe God's Book of Ben). The magnetosphere shows the size and cone-shape with nose and tail of the earth's vortex better than any scientific publication of a gravitational field. The magnetosphere has been detected and measured by instruments that can detect magnetic fields or magnetism. "magnetism ...the manifestation of vortexian currents" - OAHSPE Book of Cosmogony and Prophecy III:11. "no substance of attraction. Nor is there any substance of gravitation. These powers are the manifestation of vortexya" - Oahspe Book of Cosmology and Prophecy Chapter I:45. The magnetosphere is a same size same shape manifestation of the earth's vortex. The video linked here shows experimental proof of the existence of a magnetic vortex. The direction of rotation changes when magnetic polarity is reversed. Usually, we see magnetic field lines shown as bending straight back from one end of the magnet to the other. Correctly, what should be shown is magnetic lines of force in a vortex configuration, with flow spiraling into the magnet (or out of it) in a right-hand or left-hand turning motion, depending on the magnetic polarity. 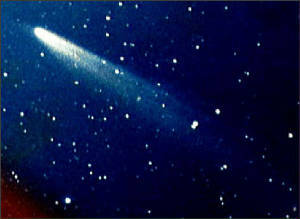 Comet Kohoutek, like most comets, exhibits a similar kind of shape as the cavity called the magnetosphere. This cavity is formed around the earth when the solar wind "blows" in our vicinity. An Astronomer in 1997 said "The OAHSPE author has described the interaction of presumably the solar vortex with planetary or cometary vortices and deduced correctly what the effect of solar emanations on a diffuse spherical structure would be." <--- To navigate or move to another page on my website scroll all the way to the left and click on one of the buttons. Where humanity has no knowledge of forces and currents of the unseen worlds and their influence over the seen worlds, only revelations can reach them. We teach our children in stages, grades, or cycles, we withold adult teachings from children who are in elementary-gradeschool, we reveal university-college teachings to adults (this applies to the mass-multitude of people, not to the few who are gifted or advanced beyond their age). We imitate The Creator, the Creator also teaches mankind in stages, grades, or cycles, The Creator withheld somethings from mankind in the Iron Age, the Creator is revealing new things to mankind in the space age or kosmic cycle. The Iron Age lasted from 1200 BC in Anatolia to 1760 (Industrial Age) in Great Britain. 1200 + 1760 = 2960 (add 1 for no zero year = 2961) almost 3000 years. This is the 5th stage of mankind, 5 represents balance, balance between corporeal and spiritual knowledge, the Kosmon stage or cycle. Kosmon Cycle start = 1850 (approximately). Atomic-Jet Age start = 1940 (approximately). Kosmon Cycle is inbetween, the center of the start of the Industrial Age and the Atomic-Jet Age (approximately 90 years after and 90 years before). Biblical covenants are intricately tied to the dispensations. When these Biblical covenants are compared and contrasted, the result is a historical ordering of different dispensations. This planet earth and it's atmosphere is a school for different grades of people. Man develops in 5 stages from infant to adult: The Creator teaches man in stages and reveals new knowledge and truth to him just as we reveal new knowledge and truth to children from elementary Gradeschool to adult (College-University). 5 = central balance between 0-10 and 1-9, spiritual and corporeal, being good and being independent. ASU + ETHEREAN (spiritual interstellar visitors died in infancy or fetal) = I'HIN (2ND MAN). civilization is exemplified in man's growth from birth to maturity" - Eugene Del Mar. Why do children learn things much faster than adults do ..
1. Infant-Toddler 0 - 2 years. Asu = 0-1 (infant, no walk, no talk). 2. Preschooler 2 - 5 years. I'hin = 2-5 (walk and speak). 3. Gradeschooler 6 - 12 years (I'huans, the Bible). 4. 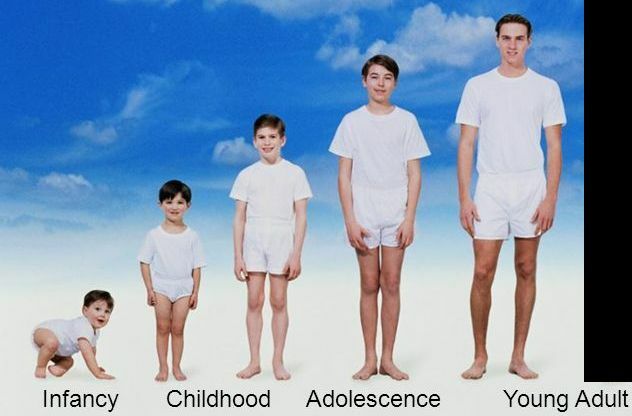 Adolescent age 13 through 19 years (the Ghans). Teenagers can exhbit rebellious behavior. 2 year olds or toddlers can ehibit defiant behavior. Is there a difference between the words Rebellious and Defiance? while Defiance has more a connotation of resistence, or lack of action as a response to authority. 5. Adult fully grown or 20 years age or older (Oahspe - Kosmon). According to Erik Erikson, during this time (Age Period of 7-12 Years), a child's most significant relationships are those with his friends and peers. Although parents are obviously still very important, they don't have the same influence and authority as in younger years. This is one of the things that makes adolescence development so difficult. What we view as rebellion against our authority, our teens view as an effort to gain separation from parental dependence and learn to function on their own. What we consider to be disrespect and disregard, our teens may see as a need to change the balance of power. What we may consider a bad attitude is in all likelihood a natural progression toward adulthood. ERV And the teaching I gave you was like milk, not solid food. I did this because you were not ready for solid food. you need someone to teach you again ...You are like babies who need milk and cannot eat solid food. Teacher = Tae, milk = Bible, solid food = Oahspe (the Kosmon Bible). Kosmon, or, Kosmon said. THE PRESENT ERA. All knowledge in possession of man, embracing corporeal and spiritual knowledge sufficiently proven. For a large part, Oahspe remains a sealed book. It uses a private vocabulary which is only partially explained; and describes events of mysterioussignificance. There are hundreds of pages about the deeds of a vast array of Gods and Goddesses who roam the universe in enormous vessels. 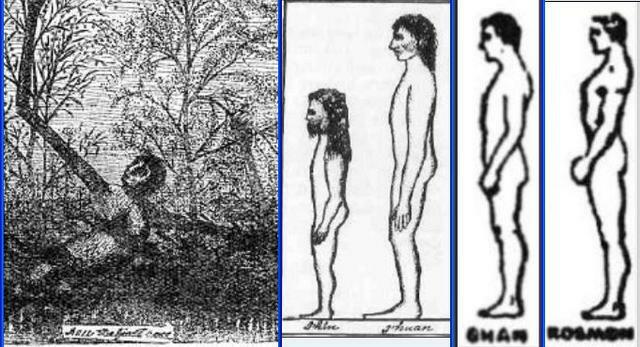 It would be safe to assume that the plates of the images found in Oahspe have nearly always struck its readers as quite mysterious. Some of course are quite clear, for example, showing what the asu race looked like, how the Temple of Baugh-ghan-ghad appeared 11,000 years ago, or which Panic symbols are used for the Tablet of Se’moin. Yet so many of the others seem very difficult to understand, such as Panic, Yi’haic, Vedic, Hebraic, and Sanscrit Primaries (a non-English language), Orachnebuahgalah (very complex ideas) or Mathematical Problems (very complex ideas, AND in a non-English language). Consequently, many first-time readers of Oahspe may glance over these images, but any puzzlement seemed best to ignore in order to seek and understand inspiration from the truly profound spiritual meaning within its text. "I was especially impressed with your work concerning the ORACHNEBUAHGALAH. I have seen 2 other sources ONLY which even begin to make sense, other than yours: Wing Andersons "7 Years That Changed the World" and "The Tree of Light" obscure article put out by Faithists long ago. They back what you are saying and may have inspired you to write your strong analysis of the ORACHNEBUAHGALAH. "- Robert Bayer, March 25, 2015. ...are the amygdala and hippocampus. A mystic whose experiences appear from an unusually responsive right hippocampus is expected to report experiences dominated by right hippocampal (RH) phenomena. The RH role ...Its cognitive functions implicate it in the experience of 'knowingness', and 'insight', in which understandings appear spontaneously. The Book of Knowledge and Book of Ouranothen which were a part of the original pre-1882 published Oahspe material [were not apart of the 1882 and 1891 published Oahspe] . When a book gives us information of things we know not of, it should also give us a method of proving that information to be true. Oahspe and this website covers that ground. The day has arrived, when man will not accept proclamations and assertions; he wants plausible reasons, or substantial proofs, that the authority be not merely a presence, but a demonstrable fact. Oahspe Book of Osiris 6:13-18...the law of the resurrection,...the spirit of man groweth by giving away of whatsoever the spirit hath to give. If ye have great learning, and ye give of it, then shall more learning be added unto you; if ye have goodness of heart, and gentle words, then, by giving this away, more shall be added unto you; if ye have craft in inventions or mechanics, and ye bestow of these talents unto others, then will more be added unto you. As the corporean man accumulateth corporeal things by not giving them away, not so accumulateth the spirit of any man. 14. For he who locketh up the light of the Father that is in him, cannot obtain more light 15. The chief delight of man shall be, therefore, to find some way to impart his spiritual talents and strength, and to the greatest possible number of people.Please help support my research and efforts to share this knowledge with the world by making a donation at the bottom of the page. Thank you. Above Oahspe Plate 51 (top); First, second, and third resurrections. Below plate 51 above is section from Oahspe title page. Sometimes mortals receive a direct line (channel) of light of inspiration from the second or third resurrection (from high grade spirits who are waiting to ascend at the next 200 or 400 year dan). "The advent of Oahspe in the 33rd year of Kosmon is not random, falling, as it did, one "spell" after the Dawn, the Rift in the Veil (1848). - page 225 of The Hidden Prophet by Susan B. Martinez, Ph.D. I formed my interpretation and meaning of the ORACHNEBUAHGALAH plate of Oahspe (Book of Cosmology and Prophecy Chapter 7) in words in the 165th year (33rd Year x 5) of the Kosmon Era. Kosmon is the new era which began in the year 1848 A. D., Gregorian calendar, corresponding to the time Jehovih unveiled heaven to mortals (beginning of modern spiritualism). 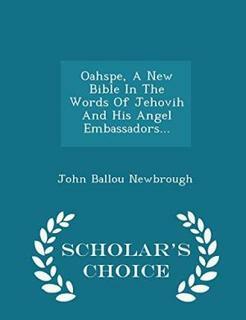 Oahspe is the book of heaven received by Dr. John Ballou Newbrough during the 33rd year of Kosmon (1881). The word Kosmon signifies an equal balance of material and spiritual knowledge, and is equivalent to all the knowledge of the cosmos currently in the possession of mankind. It is the new era in which freedom and brotherhood are to be achieved for all mankind. 33 x 5 = 165 + 1848 = 2013. 33 = first rule of prophecy, 5 = balance (center between 0-10 and 1-9). The Mayan calendar moves in cycles with the last cycle ending in December 2012. Internet Archive Wayback Machine (preserves knowledge for future generations). A sevenfold (7x) EXPLOSION OF INFORMATION, KNOWLEDGE, LIGHT, AND INSPIRATION in the years of 2012-2013 (in the 5 x 33rd year of the Kosmon Era). which included my work on the ORACHNEBUAHGALAH plate for the first time in 2013. At the age of 7 x 7 + 1 (50). By Dec 7, 2013 I had 49 (7 x 7) web pages on studyofoahspe.com. the time of light = dan = fifty (50) years. Prophet Ea-Wah-Tah portrait (above) of spiritual grade 95 in Oahspe at age 50 facial recognition science. The text above, from Analects 2.4, is Confucius’s oft-quoted summing-up of his lifelong developmental milestones (Confucius died at 72). At 15, Confucius began acquiring a serious education — not classroom study but active learning based on a systematic and insightful reading of ancient texts. For most folks, the will of Heaven could be understood as Destiny or Life’s Purpose that Heaven has mandated to each of us. In youth and early adulthood, we go through a long gestation of learning and development. By 50, we should be able to say confidently that we know what our life’s purpose is. Do you? It was after a meeting with Jim Velasques on September 25, 1978 that my cousin Rey first introduced me (and regularly after that) to the teachings of Jim Velasques (who introduced Oahspe to my cousin who introduced it to me) and Oahspe (before I read Oahspe) when I was 15 years old (Pi 3.14 = 22/7, 22 - 7 = 15) and I was inspired to start the journey I am on now. At age 29 (22 + 7 = 29) I was inspired to become vegetarian-vegan and have continued that practice to this day. 21 years (Pi = 3.14, 3 / .14 = 21.42) after becoming vegetarian at age 50 (7 x 7 + 1) I was inspired to begin and complete work on the prophecy plates and tables of Oahspe plus many drawings, equations, mathematics, and research articles. “Signs and symbols rule the world.” - Confucius. 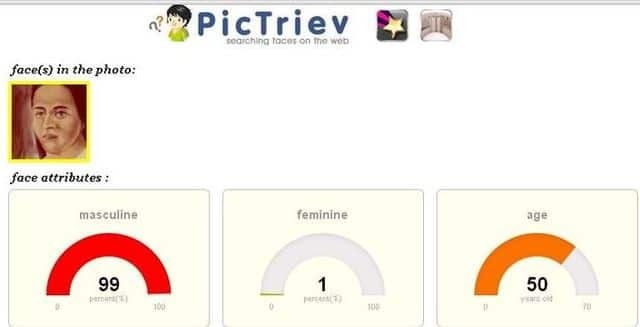 Facial recognition is a mathematical science where 80 points on the face are measured creating a numerical code. Above a high (over 50%) facial recognition match of John Ballou Newbrough to the Prophet/Law-giver Ka'yu (Confucius). 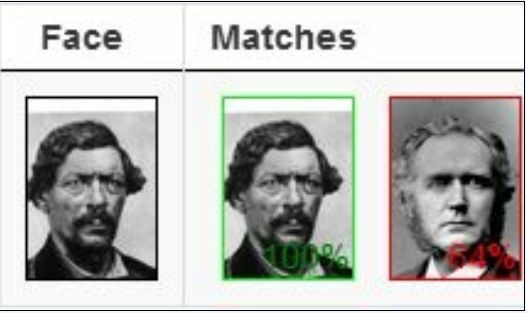 Above a very high (68%) facial recognition match of John Ballou Newbrough to the Prophet/Law-giver Brahma. Kosmon 165 (the year 2013) was a harmonic warm above average year multiple of the first rule of prophecy or 33 (Spell) and the year 1881 (Oahspe transmission), along with the 99th (Wave) year 1947 (UFO wave, Secret of Light published by Walter Russell). People born in 1963 would turn 50 years of age in 2013. People born in 1798 would reach their spiritual and intellectual peak at age 50 at the start of Kosmon in 1848.
Who was born in 1798, that would reach peak maturity in 1848 and would play a significant role at the start of the Kosmon cycle? his care. The Coffin home in Fountain City, Indiana, is often called the "Grand Central Station"
Born in North Carolina, Coffin was exposed to and developed an opposition to slavery as a child. supply food, clothing, and transportation for the Underground Railroad operations in the region. to operate a warehouse that sold only free-labor goods. societies that provided food, clothing, funds, and education to former slaves. He was born into slavery in Virginia, and moved west during the California Gold Rush. He discovered the Beckwourth Pass, which is located in the Sierra Nevada Mountains between Reno, Nevada and Portola, California. Jim Beckwourth was an African American who played a major role in the early exploration and settlement of the American West. later historians have discovered that much of what Beckwourth related in his autobiography actually occurred. The child of a white plantation owner and a black woman who was probably his slave, Beckwourth was born into a society that paid little notice to children born of black mothers. 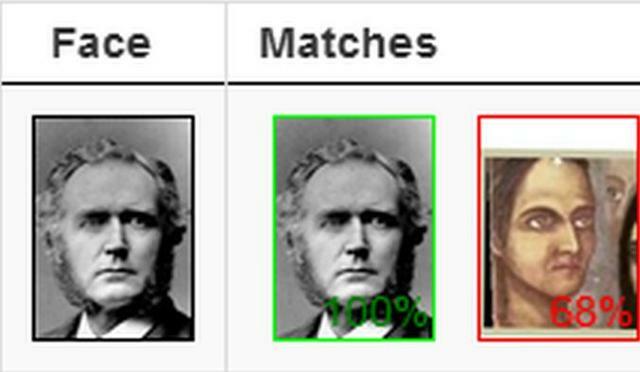 Above facial recognition match of Jim Becworth to John Ballou Newbrough 62% (very high). Using a different mathematical algorithm Jim Becwourth and John Newbrough match 64%. at Sutter's Mill, he was one of the most sought-after guides in the gold rush." - pages 12-13 of Black Frontiers by Lillian Schlissel. Lillian Schlissel is professor emerita of Brooklyn College-CUNY, where she was director of American studies. learning. And the year of the circumscribing shall be the beginning of KOSMON. Gautama [North America] have become inhabited." 26. And the year of the circumscribing [globilization] shall be the beginning of kosmon..
About Determinism and the Randomness of Life . ...We had no control over you, but merely passed...intellectual light before you. It is most probable you thought to yourself that a new thought struck you, which is a common [reaction] by reflecting people to the new ideas which they receive from spirits. - Page 108 of THE HIDDEN PROPHET The Life of Dr. John Ballou Newbrough by Susan B. Martinez, PhD. 42. M'git'ow, morning, sunrise (Panic). Dawn, M'git'ow (Algonquin). Tigiatow (Vede). At dawn fly away the evil spirits; at dawn come the shining, full of holiness (Kii). The wise man hath found Git'm'ow full of cow, i.e., receptivity...He maketh a book at dawn. The seventh heaven cometh in M'git'ow, the morning light (Poit). 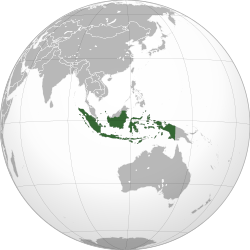 Indochina (map above) next to Indonesia. Translate from Indonesian, Indonesian = close to Pan language. 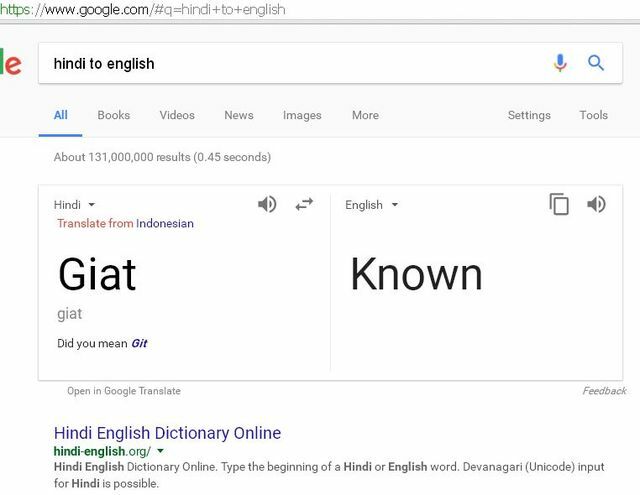 giat = Known = knowledge = light = Dawn (dan) = Tigiatow (Vede). [Interpretation = During dawns and dans, man is more receptive to light and spiritual understanding, so this is when the wise men make true holy books or writings, during dans, this is when the wise men recieve true inspiration from the Creator, during dans. 11 year cycle is the second rule of prophecy, 33 is the first rule. the earth's time = the time it takes for the earth to orbit in a circumference around the sun = 365.25 days = 1 solar year. The sun is in the CENTER of the MASTER vortex so the solar year on earth = the MASTER year, the lunar (moon) year of 354 and 355 days is the MINOR year on earth. Concerning www.oahspe.com and the blasting of Oahspe and Newbrough, imagine if Ford Motor Company came up with a domain name like www.gmjunk.com and used half of the website blasting GM products and the other half promoting their own vehicle, that is precisely what www.oahspe.com is doing. They blast away at Oahspe and Newbrough as much as they promote their favorite spiritualists.- Sincerely, Donald Ballard (February, 2008). Some Oahspe haters falsely blame Oahspe for being part of a group or cult that every waking moment of your life will be controlled by a self-appointed leader who speaks to god on your own behalf, who will make your life a living hell. 15. ...the Father's kingdom is now being founded on earth, and the mortal manifestation thereof is near at hand. 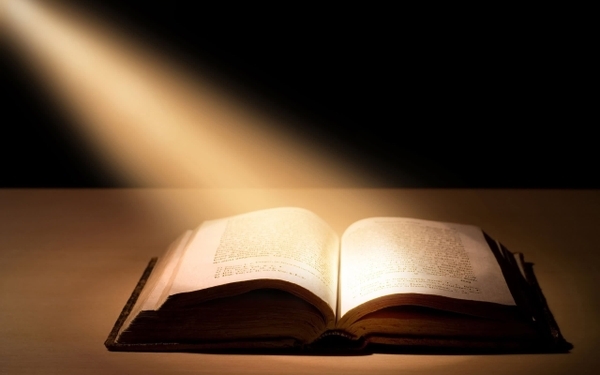 OAHSPE BOOK OF INSPIRATION IX:8-10 "I have given thee many sacred books, and I said to thee: Save thou judgest them, thou shalt be caught in a snare; I charge thee, thou shalt accept nothing from men, nor angels, nor Gods, But thou shalt rely on THINE OWN INSPIRATION FROM THY CREATOR." OAHSPE Book of Inspiration CHAPTER XI:17 "I said unto man: BE FREE! Learn to know liberty! Think for thyself! Study thy Creator in all things, and IN THYSELF IN PARTICULAR!" So much for the self-appointed leader. The authors of Oahspe knew the difference between the word leader and another word. Oahspe was warning us against having appointed leaders of a brotherhood (the father's kingdom on earth). So much for your every waking moment being controlled. Oahspe teaches us to be free and to Think for thyself (no cult, no leader, with freedom). "I shall not send either earthly leaders or a worshipful God or Lord." - Page 72 of Earth, Sky, and Spirit Book Two 1989/1990 Universal Network of Oahspe Students. 1. SEEK not to spread My gospels, and entice followers unto this, or that, saith Jehovih. 2. Neither go about preaching, saying: Thus saith Jehovih! 3. Let all men hear Me in their own way. 4. No man shall follow another. 5. I will have no sect. 6. I will have no creed. 12. To teach man to comprehend liberty, especially as to thought and as to knowledge, this hath been a great labor. Where in Oahspe does it teach abusive behavior? Do not blame the book if some of its so-called practitioners do not conform to its teachings. Although there are and have been groups and organizations associated with Oahspe (some have misunderstood and misused Oahspe), there are many who have studied Oahspe for many years and do not belong to any Oahspe based group or organization with a leader. Although the vortex motion of planets was discussed in philosophical publications for several hundred years prior to Oahspe (the writings of Sir Isaac Newton and Rene Descartes, etc..) none of these earlier publications described the size and comet-like shape of the earth's magnetosphere, nor the cause of the Aurora Borealis, or that the solar vortex and the earth's vortex are connected, nor the configuration of spiral, bared-spiral and elliptical galaxies throughout the universe. Nor did Newton or Descartes write that Nebulae was the birthplace of stars, or that the substance of the living can be found in Nebula. Nor did Newton or Descartes show the solar system vortex. Nor did Newton or Descartes describe the "needles" or "strings" shape of sub-atomic matter, or the solar orbit around the galaxy. Nor did Newton or Descartes describe cold diffuse matter in interstellar space, or massive dark matter objects. Nor did Newton or Descartes mention 100 elements of matter, or the equivalence of mass and energy, or Einstein's E=MC² in statement form. Nor did Newton or Descartes describe stellar life cycles, or show the sun in its half life cycle. Nor did Newton, Descartes, Swedenborg, or Andrew Jackson Davis describe the Younger Dryas sudden cold and dry period in the Northern Hemisphere. None of the publications that preceded Oahspe had knowledge of the modern Olympic games. Newborough could not have "copied" this information from earlier publications. Interesting to note here is the fact that there is no physical mechanism in the near-vacuum of outer space to compress gas into a ball. A cloud of hydrogen gas must be compressed to a small enough size so that gravity can dominate it. For example, our own sun is a stable sphere of gas. But what force could initially press it into a ball? Scientists have no answer. Experiments indicate that it would be next to impossible for floating gas molecules out in space to clump together. There is nothing to compress it. How could the stars evolve from floating gasses? Gravity is not a sufficient mechanism to do this. In outer space, the gas is millions of times more expansive than the critical compressed size needed for gravity to hold it as a stable star. Because of this, outward gas pressures cause these clouds to keep spreading outward! They do not pull together, but instead gradually move outward. In spite of all the starry theories of the evolutionists, the fact remains that gas in outer space always has a density so rarified that it is far less than the emptiest atmospheric vacuum bottle in any laboratory in the world! How could such rarefied hydrogen "push itself" into planets and stars? How then did the lumps [the galaxies, stars, planets, moons, and asteroids] get there? Oahspe Book of Cosmology and Prophecy: Chapter II: 12. 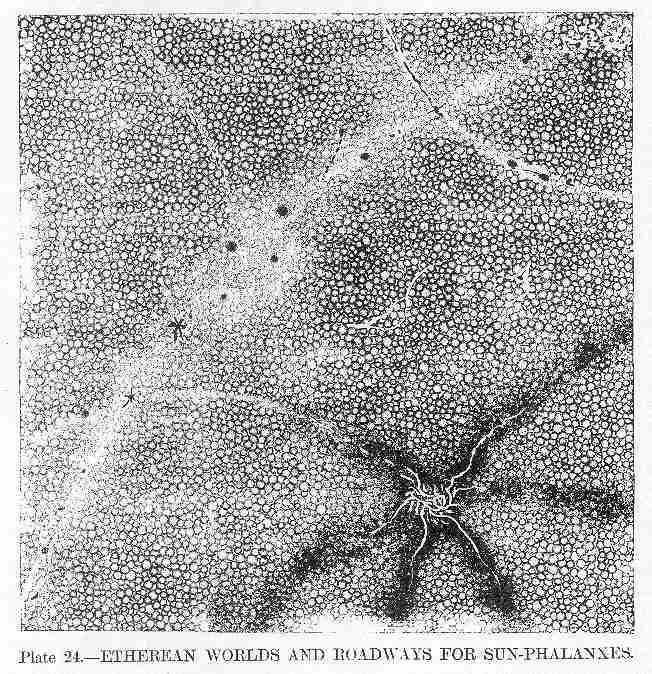 But nowhere in etherea is there a solution of corpor sufficient to put itself in motion; nor sufficient to condense itself; nor to provide the road of its travel. "Few cosmologists [theorists about the origin of matter and the universe] today would dispute the view that our expanding universe began with a bang—a big hot bang—about 18 billion years ago. Paradoxically, no cosmologist could now tell you how the Big Bang ultimately gave rise to galaxies, stars, and other cosmic lumps. "As one sky scientist, IBM's Philip E. Seiden, put it, 'The Standard Big Bang model does not give rise to lumpiness. That model assumes the universe started out as a globally smooth, homogeneous expanding gas. If you apply the laws of physics to this model, you get a universe that is uniform, a cosmic vastness of evenly distributed atoms with no organization of any kind . .
"How then did the lumps [the galaxies, stars, planets, moons, and asteroids] get there? No one can say, at least not yet and perhaps not ever." —*Ben Patrusky, "Why is the Cosmos Lumpy?" in Science 81, June 1981, p. 96. I believe Oahspe's "etheic solution in rotary motion" or vortex is the cause of compressing inter-stellar gas into a ball that creates stars and planets. John Bell, interviewed by Paul Davies in "The Ghost in the Atom" has suggested that an aether theory might help resolve the EPR paradox by allowing a reference frame in which signals go faster than light. He suggests Lorentz contraction is perfectly coherent, not inconsistent with relativity, and could produce an aether theory perfectly consistent with the Michelson-Morley experiment. Bell suggests the aether was wrongly rejected on purely philosophical grounds: "what is unobservable does not exist" [p.49]. Einstein found the non-aether theory simpler and more elegant, but Bell suggests that doesn't rule it out. Besides the arguments based on his interpretation of quantum mechanics, Bell also suggests resurrecting the aether because it is a useful pedagogical device. That is, many problems are solved more easily by imagining the existence of an aether. Quantum mechanics can be used to describe spacetime as being "bitty" at extremely small scales, fluctuating and generating particle pairs that appear and disappear incredibly quickly. Instead of being "smooth", the vacuum is described as looking like "quantum foam". It has been suggested that this seething mass of virtual particles may be the equivalent in modern physics of a particulate aether. Dark energy is sometimes called quintessence due to its similarity to the classical aether. Modern physics is full of concepts such as free space, spin foam, Planck particles, quantum wave state (QWS), zero-point energy, quantum foam, and vacuum energy. The 19th century had the ether, the 20th century had the quantum wave state, quantum foam and the EPR Effect (inseparabilty). Glenn Starkman, a cosmologist at Case Western Reserve University in Cleveland, Ohio, is hitting back with a blast from the past. 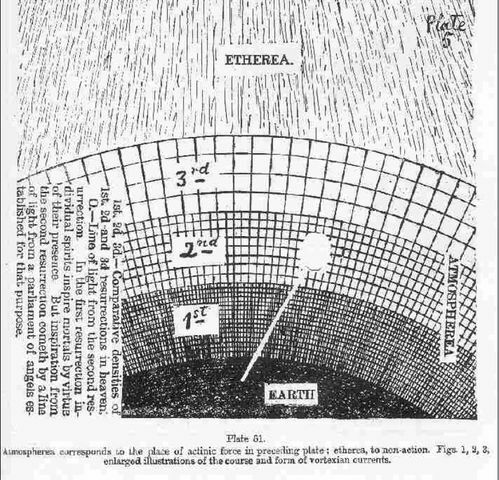 Starkman's controversial counterproposal is that the presence of ether in the universe better explains the galaxies' behavior. His theories were recently reported in the August 26 issue of New Scientist magazine. "Galaxies spin faster than they should, given the amount of matter we see in them. The possibility we've gone with for a long time is that there's some unaccounted-for mass generating that extra gravity," Starkman said. "But the other possibility is that the amount of mass we see generates more gravity than we thought. That's where ether comes in." Several high-profile theoretical physicists have lined up to support Starkman's theory, including Jacob Bekenstein, theoretical physics professor at Hebrew University in Jerusalem, Israel, and Andreas Albrecht, cosmologist and physics professor at the University of California, Davis. 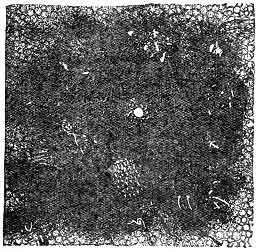 John Ballou Newbrough drew a PICTURE OF THE INVISIBLE COSMIC WEB AND FILAMENTS OF DARK MATTER IN 1881 long before it was detected indirectly using gravitational lensing and 51 years BEFORE it was first postulated and its existense and properties were first inferred by any man on earth and 133 years before it was seen for first time via intense radiation from a quasar. global positioning system (GPS) data and evidence for the ether [ethe, etheic fluid]. experimental evidence for the ether-dragging hypothesis in which the ether is assumed to be the permittivity of free space and the permeability of free space. This is interpreted using the analogy of an acoustic wave that is traveling in the atmosphere, which is dragged by the gravity of the earth. "filled with 'stuff' that is normally transparent"
3. ... Most of etherea is transparent; but in some places it is translucent, and in others, opaque. 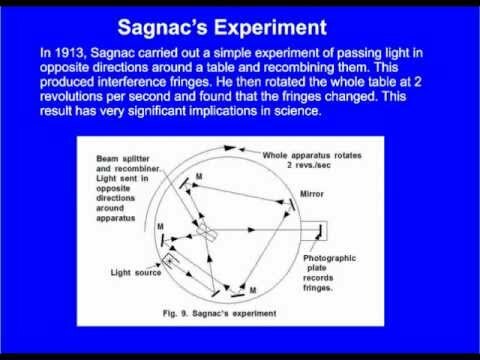 Ever heard of the Sagnac experiment? IS THERE A DYNAMIC ETHER? Unfortunately, relativity by this time was considered to be correct and many reputations (and egos) could be damaged by the disclosure of the existence of an ether. So the Sagnac experiment was suppressed as were all similar subsequent experiments. Einstein ignored Sagnac and his work. 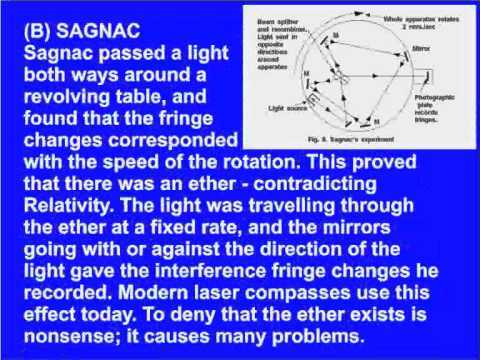 The Sagnac experiment backs up John Ballou Newbrough and Oahspe (the Vortex ether). A beam of light leaves the light source and is split into two different beams (tagged red and blue). They travel around the circuit in opposite directions until they reach the splitter which recombines them where they go on to the photographic plate producing interference patterns because the ether has slowed one beam down more than the other. A simplified version: The light is split and going in opposite directions. The distance between the mirrors and splitter is always the same, as everything, including the splitter is moving on the platform together. No matter what the speed of rotation, there should be no interference pattern, but there is, proving the existence of the ether. 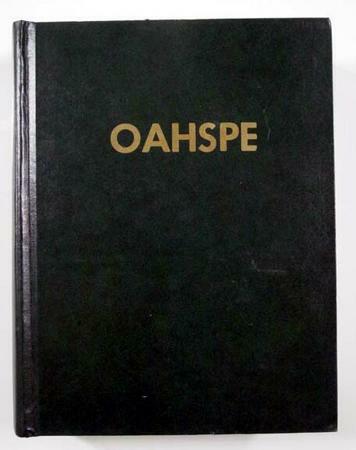 "Oahspe is also a book that has numerous “firsts” i.e. it is the first to use the word “Starship” long before science-fiction writers conceived of interstellar space travel, and also the first to reveal details of a sunken continent in Pacific Ocean whose remnants include Japan, several decades before Lemuria or Mu were thought have been located in the Pacific Ocean. A cosmogony that gives details of the field of force of the sun and the planets, including comets. Describing properties not known at the time, ...describing the sun’s field of force that reaches beyond Neptune and pushes the tails of comets away from it (the cosmic wind was not postulated until more than half a century later), identifying the outer small bodies before even the first of them was first sighted (Pluto was discovered half a century later)....to name a few." Are you in search of an understanding of the Universe and life? Would you like to know the origin, purpose, and destiny of mankind? 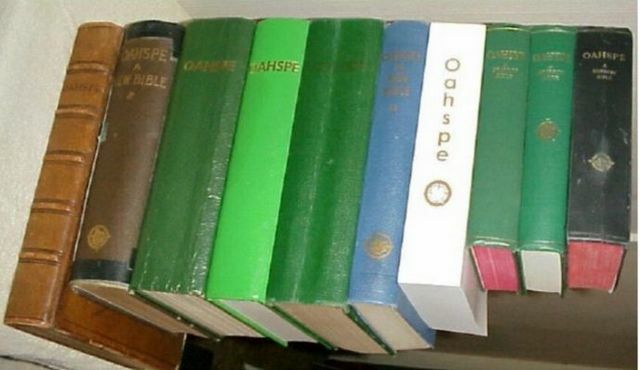 Then Oahspe is a book for you. Study Oahspe and find out just how amazing it is. OAHSPE states plainly that the revelations in it are not all new to mortals, so it would not be surprising to find some information in it from previous sources. The author/messenger of OAHSPE is not important. It is the Message that is important, so anyone who is or has attacked John Ballou Newbrough is wasting their time and is missing the message. Some Oahspe Haters claim that "IF THE FOX SISTER"S turned out to be FRAUDSTERS, then it stands to reason that ALL OF OAHSPE is a complete and disgusting FRAUD." Oahspe 24: says "Not immaculate in this book, Oahspe." Macculate means spotted; having a blemish or error. OAHSPE verses 24 and 25 it states clearly that OAHSPE is not a perfect book so it is not surprising that it contains some errors. The fallacy of composition arises when one infers that something is true of the whole from the fact that it is true of some part of the whole. "I do know that margaret's confession was coerced; she was actually blackmailed (against her drinking habit). however, she later recanted the confession." - Susan Martinez, Ph.D. August 27, 2016. "Per Nandor Fodor's Encyclopedia of Psychic Science, Margaret Fox had become an alcoholic and had a stormy relationship with her older sister, Leah. Kate sided with Margaret. Also, Margaret had become a strong Catholic, and while Fodor's book does not mention it, I read somewhere else that a priest persuaded her to denounce spiritualism as the work of the devil. She wrote a letter to the New York Herald in which she denounced Spiritualism. It was published on May 27, 1888. She then gave interviews and a public lecture declaring spiritualism to be a complete fraud. Kate Fox made a similar confession on October 10. It is not clear whether they confessed 1) because they wanted to blacken Leah's reputation; 2) because the priest insisted on it; 3) Margaret got paid by the Herald, or 4) a combination of the above. On November 20, 1889, Margaret retracted her confession, saying she confessed only for financial consideration. Of course, there is much more to the story, but that is the summary of the confession." - Mike Tymn, August 27, 2016. Nandor Fodor ...Fodor was one of the leading authorities on poltergeists, haunting and paranormal phenomena usually associated with mediumship. Fodor, who was at one time Sigmund Freud's associate, wrote on subjects like prenatal development and dream interpretation, but is credited mostly for his magnum opus, Encyclopedia of Psychic Science, first published in 1934. Fodor was the London correspondent for the American Society for Psychical Research (1935-1939). He worked as an editor for the Psychoanalytic Review and was a member of the New York Academy of Sciences. "Oahspe claimed that Kosmon , AKA the Spiritualist Age started with the Fox Sisters" - Charles Walker. "This is the dawning of a new era; you must not try to conceal it any longer." Ray Palmer said Oahspe's BOOK OF COSMOGONY might have been written by today's space scientist [space age scientist from 1957 to present]. Much of the science in Oahspe has only recently been "discovered". Newbrough could not have "guessed" so rightly especially in the face of all the authorities of his day. 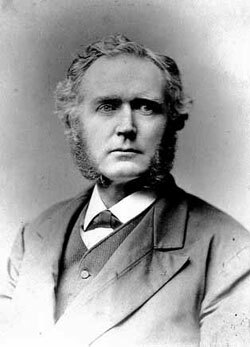 Today [since 1958] space satellites are discovering "how it is" out in space, while in 1882 [first written in 1881] OAHSPE contained the same information! As an instance, the now famous Van Allen radiation belts complete as to nature, shape, and height. The scientific reader is overwhelmed by the science of Oahspe. The Van Allen belts were discovered by American space scientist James Van Allen in 1958 ... The inner belt normally extends from about 1,000 miles above Earth to 8,000 miles (1,600 to 13,000 kilometers). After a gap, the outer belt runs from around 12,000 to 25,000 miles (19,000 to 40,000 km). Either of two zones of high-intensity particulate radiation trapped in Earth's magnetic field and surrounding the planet, beginning at an altitude of about 800 kilometers (500 miles) and extending tens of thousands of kilometers into space. 2. The belt in atmospherea where these things happen is usually about five, six or seven hundred miles up from the earth's surface. But the belt sometimes ascends a thousand miles. At other distances upward other belts exist; and others still beyond, and so on. OAHSPE contains much information in it that has proved to be true, example; Oahspe said that the Earth has a invisible vortex around it, and that the vortex was comet shaped. The vortex was 42,000 miles from the surface of the earth to the rim of the nose with variations, the tail of the vortex stretches somewhat beyond the moon. OAHSPE said that magnetism was one of the manifestations of the vortex. In 1958 when the U.S. first sent up space satellites scientist discovered the invisible magnetosphere of the Earth. They discovered that the magnetosphere was comet shaped. Scientist also discovered the magnetotail stretched well beyond the moon. The magnetosphere was first theorized in 1931, but OAHSPE had that information 1n 1881(original manuscript before publishing). An Astronomer in 1997 said "The OAHSPE author has described the interaction of presumably the solar vortex with planetary or cometary vortices and deduced correctly what the effect of solar emanations on a diffuse spherical structure would be." The other interesting thing about that is not only was the magnetosphere unknown then, but so was the solar magnetic field and the solar wind. So not only did the OAHSPE author "deduced correctly what the effect of solar emanations on a diffuse spherical structure would be", but the author also "deduced" correctly that there was a solar vortex. There are typographical errors and omissions in the Oahspe 1882 Edition of Book of Cosmogony and Prophesy Chapter 1, Verses 4 and 5.
the moon's vortex, has a revolution axially with the earth once a month. enough to 42,000 miles, so Oahspe is rounding out the figure. and negative manifestation of the c'vortexya; for the moon also manufactures its own light. as well as the corporeal body, and consequently it appears larger than it really is. It is more likely that Oahspe's figure is more accurate than those we currently have from conventional scientific sources, since the above mentioned allowance regarding the moon's light has not been taken into account. Making the diameter of the moon closer to 2,100 miles. The above information about typographical errors and omissions in Oahspe I got from Ruth and Vernon Wobschall (in the early 2000s). OAHSPE BOOK OF COSMOGONY AND PROPHECY CH.I:2,5,8 says "The earth floateth in the midst of a vortex, the outer extremity of which is somewhat beyond the moon. The outer rim, forty-two thousand miles broad, of the Earth's vortex, the greater diameter of the vortex is east and west, the lesser diameter is north and south...At this age of the comet, it showeth nearly the configuration of it's own vortex; it's tail being the m'vortex'ya. If it appear to the east of the Sun it's tail turneth eastward; if west of the sun, it turneth westward." From the book EXPLORING THE UPPER ATMOSPHERE by Richard A. Craig copyright 1968 pages 136-137 says "The magnetosphere, beyond about 30 Earth radii, on the side of the Earth away from the sun,...On the side away form the Sun, there is a much more extended region called a 'tail', which may reach out well beyond the moon; although this question is not yet settled...our understanding of the magnetosphere is very limited because only the far-ranging space probes can study it. A vast amount of work remains to be done." From the book AURORA BOREALIS THE AMAZING NORTHERN LIGHTS copyright 1979 by S.I. Akasofu page 69 says "Our understanding of the aurora began to improve dramatically about 10 years ago as a result of a very intensive study. Scientist view this phenomena in terms of an electrical discharge [As did OAHSPE in 1881] powered by the magnetosphere generator [The Earth's vortex Oahspe says]. They are now engaged in proving this theory with information gathered by satellites and rockets - INFORMATION UNOBTAINABLE BEFORE THE SPACE AGE." Page 71 of Akasofu's book says "a cavity, shaped like a comet is formed around the earth. It is the Earth's invisible magnetic field. The cavity is called the magnetosphere." On page 72 of Akasofu's book it says "Professor Sydney Chapman, a physicist who, with his colleague, Vincenzo Ferraro, was the FIRST to THEORIZE the formation of the MAGNETOSPHERE in 1931." OAHSPE BOOK OF COSMOGONY AND PROPHECY II:25 says "A complete planetary vortex is a globe, or nearly so, and it's manifested light like a complete magnet." Is the Earth in a vortex of space-time?. Space-time Vortex | Science Mission Directorate. The space roar is a radio signal from outer space. Discovered by NASA's Alan Kogut and his team, the announcement was made at the 213th meeting of the American Astronomical Society on January 7, 2009. Described as a loud hiss, the team discovered the signal while trying to find traces of heat from first generation stars using an ARCADE radiometer. This instrument is designed to detect radiation at centimeter wavelengths. Though signals from radio galaxies have been detected before, the "space roar" sounds six times louder than what is predicted from those sources. Scientists have yet to explain its source. NASA scientists have currently ruled out primordial stars and all other known radio sources. The roar currently limits the study of the universe's earliest stars. In 2011, the ARCADE 2 researchers reported, "Correcting for instrumental systematic errors in measurements such as ARCADE 2 is always a primary concern. We emphasize that we detect residual emission at 3 GHz with the ARCADE 2 data, but the result is also independently detected by a combination of low-frequency data and FIRAS." Space roar was first discovered by ARCADE, the Absolute Radiometer for Cosmology, Astrophysics, and Diffuse Emission. It's a very fancy name for some very fancy equipment that NASA attached to a big balloon and sent about 120,000 feet up into space. ARCADE was meant to be looking for radio signals from distant galaxies. fter some research, scientists ruled out the idea that it was just very loud early stars. They also ruled out that it was somehow coming from the dust of our own galaxy. It was just a blast of radio, dubbed "space roar," that seemed to be part of the background noise for no understood reason. Although space roar piqued the interests of many, there is still no explanation for it. ARCADE only took a look at a specific circle of area that makes up 7% of the sky, but even this limited area makes the roar fairly widespread. It's just out there, covering up our view of the early stars. And being emitted by something we can't yet imagine. In Akasofu's book it says "some of the magnetic field lines of the solar wind are CONNECTED to a bundle of magnetic field lines of the earth across the boundary of the magnetosphere." OAHSPE BOOK OF COSMOGONY AND PROPHECY III:2 says "The half of the Earth's vortex (for example) which faceth toward the sun is a concave lens to the earth. A similar lens, but far larger, is at the sun-centre: The convex faces of the two lenses are toward each other forever. They are ethereally [invisibly, subatomicly] CONNECTED by solutions of corpor needles linear in position." 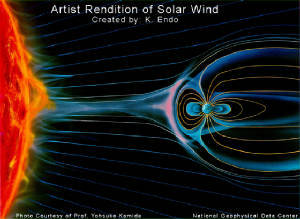 Scientist in 1979 said the magnetic field lines of the solar [sun] wind are CONNECTED to a bundle of magnetic field lines of the Earth across the magnetosphere. Oahspe in 1881 said the vortexia [magnetic] lens of the Sun is CONNECTED to the vortexian [magnetic] lens of the earth ethereally [invisibly, subatomicly]. Dan is a warm light region in outer-space that the earth periodicly passes through. "we don't understand Oahspe - neither the text, nor the plates, nor the diagrams, nor the Angel Communicator, nor Dr Newbrough, or even Mr Anderson. But we have been impressed and perplexed by Oahspe for years. We speak of the magnificence of Oahspe, and in the same breath say that many think it is the world's dullest book. You have to have an Oahspe type of mind to do anything with it. We have run on and on about it, because it is one of those phenomena of human expression which no glib psychologist has ever yet said anything intelligible about. We don't "believe" it or disbelieve it; we contemplate it as one would a hippogrif, leviathan, or dragon. It's simply there, and we don't know any answers to Why, What, or How - and so have taken a near two pages to make proof of our ignorance." Borderland Sciences Research Foundation . Borderland Sciences Research Foundation is a California non-profit (C0254263) research and education organization, founded in 1951 by Meade Layne for the purpose of studying parapsychology and extended consciousness. It has since expanded in scope to traverse as broad path of the grand terrain of the borderland as may be uncovered by human perceptions (and perhaps even further). 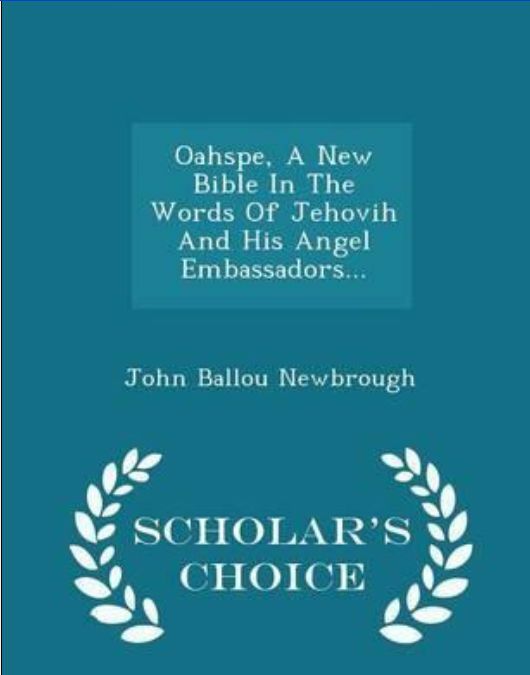 The angels of the Father transmitted advanced knowledge and Light through John Ballou Newbrough in 1881, but many of the things in Oahspe Newbrough did not understand. It would take some people (collectively called Tae) later to understand/decipher/decode/and prove what was in Oahspe. 21. It came to pass, that when the earth had entered into the thirty-third year of the arc of Kosmon (1881) in the etherean firmament, Jehovih spake out of the midst of heaven, and there were quickened up those whom His holy angels had prepared to hear the Father's voice. OAHSPE Book of Saphah - Tablet of Biene 11. Tae (Panic). A representative man ...Also one who is chosen by etherean spirits for an earth cycle; as Zarathustra, Abraham, Brahma, Moses, Capilya, Confucius, etc. [earth cycle refers to the cyclic prophetic numbers of light and the 2nd, 1st, and 3rd rules of prophecy, 11(111), 33 (multiples of 33), and 99(100, 200, 400, and the dawns 00). John Ballou Newbrough was a Tae. "I would like you to leave my website with a changed consciousness, but not just changed but more enhanced, the object of this website is for you to leave here with a broader view, about not only spirituality, religion and culture, but ethnicity, race, history, civilization, science and technology, prophecy etc...these are some of the subjects that will be discussed, and Oahspe is at the center of these things I just mentioned." - special thanks to KRS-ONE. With a $20 or more donation I am also avaliable for a 30 minute phone consultation and I will answer questions you may have, just email me or leave a comment if you want a phone consultation.